Ophelia's named one of the 'Best Neighborhood Hangouts in Kansas City' by 435 Magazine, April 2018. Chef Bobby Stearns has been serving up fine cuisine in very contemporary surroundings at Ophelia’s. ​journey LunchBlogKC experienced at Ophelia's! 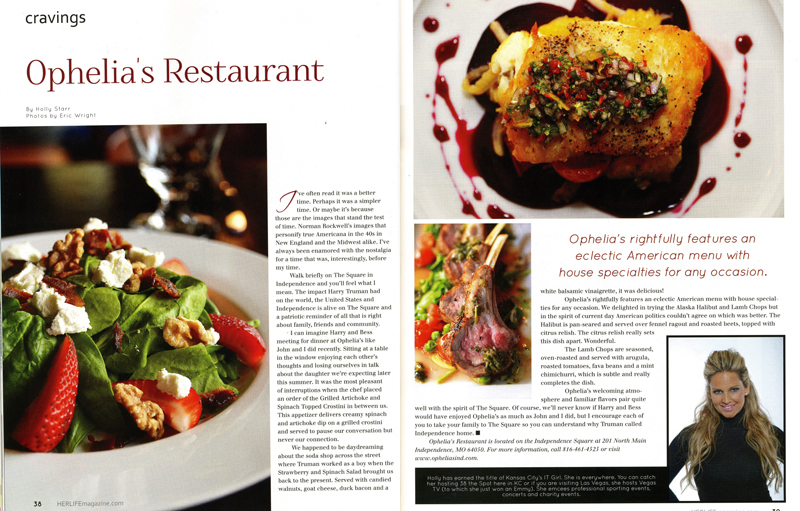 Ophelia's was featured in the July 2011 issue of Herlife! ​To see the full article click the image.